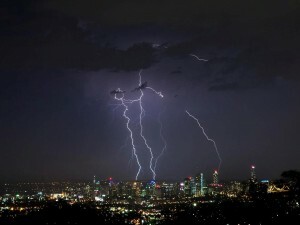 With summer approaching Brisbane homes and residents are at risk of the unpredictable storm season approaching. The roof we live under is often taken for granted as it is mostly unseen and out of reach. However it provides the greatest shelter and protection for families, friends, pets and precious belongings from the prevailing elements of sun, heat, rain, hail, wind, lighting, falling debris, fires and extreme floods. Prepare your roof in case it is your last resort to survive this summer, act now and take the precautions necessary for unexpected storm and natural disaster events. Maintain your roof, gutters, downpipes and trees, but don’t take risks up ladders doing it yourself, get licensed professionals advice & quotes first.